Earlier this month, we learned a valuable lesson here on our own blog: you can't always believe everything that you read on the internet. 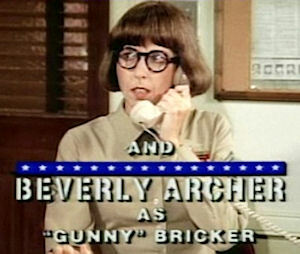 A hoax was being spread over the internet and eventually made it onto sites such as Wikipedia and IMDb claiming that actress Beverly Archer, known for her supporting roles on the sitcoms Mama's Family and Major Dad (and a long list of guest appearances on other series throughout the '80s and '90s), had died. We reported the "news," believing it to be factual. We thought, after all, that IMDb carefully verifies everything. Fortunately, as we've already stated, it was only a hoax, and as soon as we reported it, Ms. Archer was quick to contact us to let us know that she was not only still alive, but still doing very well and enjoying life just as much today (if not more) than she was when we last saw her on TV over a decade ago. Although she is still rather young, she is now retired from the entertainment business by choice, and simply taking the time in her life to enjoy doing what she wants, which includes arts and crafts (don't worry, she is doing sculpting... not making those silly "cozies" like Iola made on Mama's Family) and travel around the world, including her most recent trip to the beautiful city of Florence in Italy. In the midst of all of this, we asked Ms. Archer if she would be kind enough to allow us to do an interview with her, and she agreed to do it. We were glad to get this interview, because we know that fans want to hear from her, especially since she has stayed away from the limelight for over a decade... and, as she learned (though it didn't exactly surprise us) during the hoax a few weeks ago, she has a lot of fans out there. So she decided to give us a friendly "knock, knock" (well, actually it was a telephone ring) and take a few minutes to give us this interview. "Seven Questions with Beverly Archer From Mama's Family and Major Dad"
SitcomsOnline: So we're going to, pardon the pun, "bury" this whole death thing in our first question. As you know, many sources such as IMDb and Wikipedia, and of course ourselves, were reporting this false story that you had died. How exactly did you find out that online sources were reporting your death, and what was your reaction when you first discovered this? 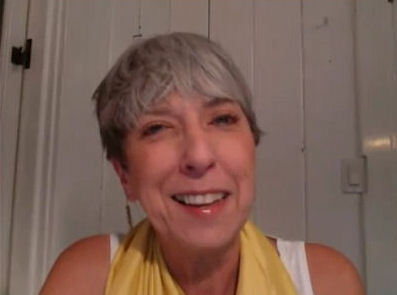 Beverly Archer: When I emailed them (IMDb) to ask them to change it, I got back a note from them that said something like "well, we'll look into it and let you know," and I thought "well, you didn't investigate it." I was out of the country, and I was in Italy, and the nine hour time difference kind of made things difficult. I came to the studio one morning, and I can't say which day it was, and I checked my email and my sister had sent me an email that said a friend of mine had called her to tell her what was happening. I realized later that I had also gotten an email from Matt Mulhern, but he didn't mention it. He just said in the email "are you there?" It was kind of cryptic. And my sister heard from a friend of mine. My first reaction was that it was some kind of mistaken identity, that in fact somebody did die in Santa Monica with a name similar to mine. It didn't occur to me that it was a hoax for quite a while. It took me a few days to realize that it was deliberate. But all the way up to now, it doesn't bother me that much, except I was upset at the possibility that someone would call my mother with condolences and they wouldn't know what was going on. That would be the only thing that kind of got me worried. SitcomsOnline: One of your first roles on TV was on the almost completely forgotten The Nancy Walker Show in 1976. How did you manage to find this first role, and what were you doing in your career at that time to lead up to this role? Beverly Archer: Well, I wasn't doing much. I considered myself an actor and I was doing commercials and whatever else and I ran into a fellow that I had done a little theater production with up in northern California, and it turned out that he was an agent. He signed me, and not too long after he got this call for someone to play the daughter on The Nancy Walker Show. Now they had a great deal of trouble casting it, and later I learned it was because they were stuck on the physicality. Nancy was a little thing, and they were having trouble casting it. So he got me this audition, and the only thing I remember about it really was that I went there and was given the script and sat there with six or seven other gals and I was reading this thing and I thought "oh, this is so funny!" I really thought it was a funny scene, and I was listening to the conversation in the room, and three of the other women were talking about how bad it was. They were talking about how bad the writing was, how it wasn't funny. I thought there was something wrong with me because I thought it was really funny. It turned out that I got it. I read right away with the producers and they got Nancy in to read with me. Then I think it dawned on them that the weird physicality would probably be an asset. So I was just lucky, in the right time and the right place. SitcomsOnline: In 1986, you first appeared in what is probably your most memorable role as Iola Boylan on Mama's Family when it debuted in first run syndication, partially filling the void left by Betty White and Rue McClanahan who went on to The Golden Girls after NBC had originally canceled Mama's Family a year earlier. Did you have any clue at the time that essentially "replacing" two already well-known actresses in a series would lead to you creating a character who ended up being more enjoyed and remembered than those who had previously been among the main cast? 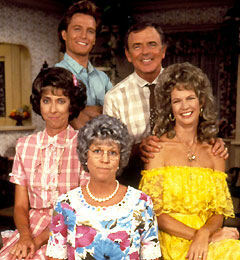 What were some of your favorite moments from your years on Mama's Family? Beverly Archer: Well, that was a very individual circumstance, because the network version, as you know, was canceled, and it was only because Joe Hamilton was the businessman he was, and he decided to recreate it in syndication. And at at that time, nobody even knew what syndication was. He was really a pioneer in making it syndicated. The cast that I came in with really had nothing to do with the NBC series. They were completely separate entities. It is not as if they thought "oh, Betty and Rue aren't working right, let's do something different." They canceled that show and Betty and Rue moved on to bigger and better things. They basically recreated Mama's Family for the version that I came in to. I don't think I can exactly iterate exact moments, but there wasn't a week that went by that Ken Berry didn't make me goof off. Ken Berry is like the funniest person on the planet. There was almost always something that ended up on camera, but he is just intrinsically a hilarious guy. SitcomsOnline: So right after Mama's Family ended, you went almost directly into Major Dad. How did you manage to go from one series to the next so quickly? Beverly Archer: That was because of Rick Hawkins. Rick Hawkins produced Mama's Family and he left Mama's Family with Jim Evering to produce Major Dad, and he produced the first year that I wasn't in. Then, they made major changes and got rid of a couple of characters and brought in new characters, and that was when he came on board to produce the second season that I was in. So he created the role of Gunny and the others. Gunny really wasn't quite out of the blue as it seems. I did a very short-lived series called Washingtoon, it aired on Showtime and it was one of the first cable sitcoms. It didn't last long, but it was this political thing where there was a senator who was kind of an idiot and I played his secretary. That is really where I created the role, and Rick had seen a clip of that and he liked the character, so he tried to recreate that. SitcomsOnline: Later, in the '90s, you had a lot of memorable roles as tough as nails librarians and teachers in series like Married… with Children, Full House, and of course a very memorable role in The Brady Bunch Movie. These were great roles, but they were much different than the character you played on Mama's Family just a few short years earlier. Do you feel that you were somewhat typecast in the 90s? Beverly Archer: Oh sure. Most character actors are, especially ones as tall as I am, and I was no exception. SitcomsOnline: You tell us that you are retired, so how exactly are you spending the free time that is available to you these days? Beverly Archer: I'm very involved in my study. I'm studying sculpting, and that is what I was doing in Italy. I do a lot of traveling. I did have my shop in upstate New York. That was the first thing I did after I retired. It was an antique store in the Catskills. And that was what I did for about eight years, and I was bi-coastal, spending May through October up there and the rest of the year here, but the bi-coastal thing began to be too much. I gave that up and did the same thing here. I had the antique store for a short time, but the more I got involved with clay, the more I wanted to spend time with it, so I gave up the shop. And now, my focus really is the clay. SitcomsOnline: Finally, we know that you are retired by choice and intend to stay retired… and that is a perfectly fine choice. But if you hadn't retired, have you considered what type of work or what type of roles you'd like to see yourself in these days? Beverly Archer: (laughs) Whatever kind of role they'd give me a paycheck for! That was the only kind of role I ever sought, was the one I got paid for. 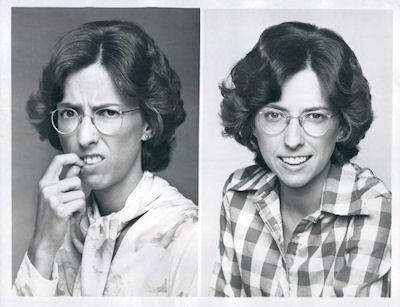 I certainly enjoyed doing comedy, but I would have enjoyed doing dramatic roles as well. But in our version of Hollywood, people who look like me don't do that. So, once you get into comedy, that is where you stay, which was fine with me. I loved doing comedy, and there is no greater gift than coming to work laughing everyday. We definitely appreciate Ms. Archer for taking the time to give us an interview, especially considering that she was willing to do this interview for her fans, and not for publicity for herself. And of course, we would like to Ms. Archer and her fans once again apologize for spreading the hoax, but in the end, I think that we can all say that we are glad to know that she is not only still with us, but is in fact doing well and enjoying life to the fullest... and probably will be for decades to come. She very much appreciates the love and admiration that her fans have for her work over the years, and told us that she was pleased and surprised (although we don't know why, she was one of TV's funniest neighbors of all time in Mama's Family) to know how many of her fans out there truly care about her. And finally, as a side note, we certainly do respect her decision to stay retired and enjoy life as she sees fit... but if she should ever decide to change her mind, her fans would certainly support her. Moving on to other news, WLNY TV-10/55 in New York City will have another classic TV marathon for a holiday. Back on 4tgh of July and I Love Lucy marathon was featured followed by an Andy Griffith Show marathon on Labor Day, and now another classic sitcom will be featured! 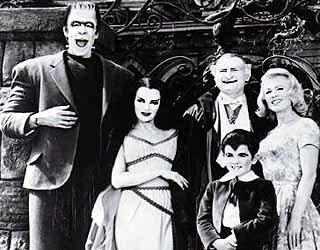 The spooky 1964-66 sitcom The Munsters will have a marathon on WLNY-TV on Sunday, October 28, 2012 from 1pm-7pm. Unlike the other two, this won't be on the holiday itself, but it's still good enough! Every since CBS bought the station, it seems marathons are airing on each holiday. We can't wait to see what is up their sleeve for Thanksgiving, Christmas and New Year's Eve. If anything should surface, we'll let you know. Not in New York, well you can watch The Munsters all this month on Boomerang, as we mentioned. And of course the new version of The Munsters is getting a test on NBC this coming Friday at 8pm.